The Brooks Construction team focuses on quality as well as safety, increasing its environmental sustainability while safeguarding its workforce through an award-winning safety culture. How does a 110-year-old company in Fort Wayne, Indiana, keep itself innovative and garner a national safety award from the American Road and Transportation Builders Association (ARTBA) in 2018? It’s a long and storied family history with an emphasis on asphalt, quality construction and safe practices. 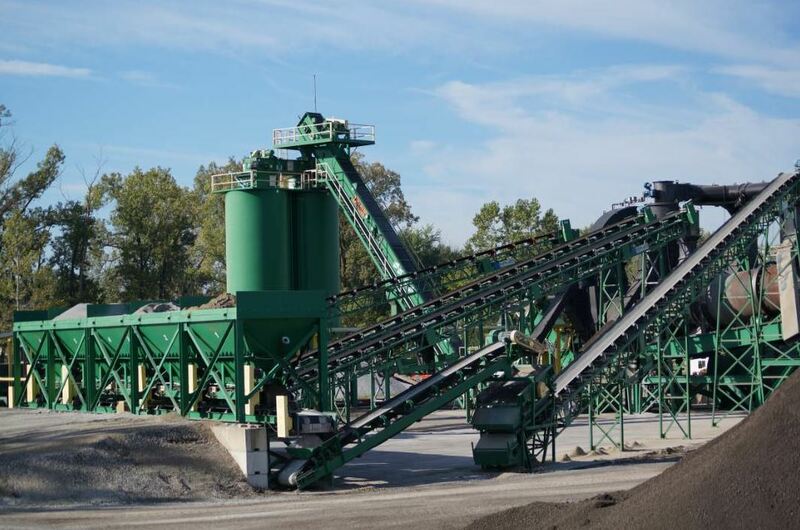 The company’s been innovative ever since, purchasing its first asphalt plant in 1917. Now they have six. They win awards on the state and national levels every year for quality highway construction and specialized commercial work with mixes that come out of those plants. Bill Knopf, the recent executive director of the Asphalt Pavement Association of Indiana (APAI), spoke highly of their quality and involvement. In fact, Brooks Construction was actively involved with the testing and construction of one of the first Superpave highways in Indiana. The company created the first private American Association of State Highway and Transportation Officials (AASHTO) accredited lab in the state of Indiana, according to the website. In 1963, John F. Brooks’ sons—Bob and Jim—hired a salesman to increase business for the company and helped create a marketing department at the National Asphalt Pavement Association (NAPA) to promote asphalt as the pavement of choice for government agencies and commercial contractors to specify and use. In the 1970s, John F. Brooks’ grandsons—John R. and Andrew F.—joined the team as laborers, working their way up through the ranks. Andrew graduated from DePauw University with a degree in economics and is now the president of Brooks Construction, responsible for finance, administration, human resources, equipment and the all-important safety. The newest generation has joined the company in recent years—Margi Brooks and Andrew Brooks—and look to continue the company’s legacy of quality, safety and innovation. To decrease its carbon footprint and environmental impact, Brooks Construction uses recycled content, recently unveiling its high-recycle product (HyRAP). The plant making the HyRAP mix is a parallel flow drum and pugmill, custom-built by ALmix of Ft. Wayne. To decrease its carbon footprint and environmental impact, Brooks Construction uses recycled content, recently unveiling its high-recycle product (HyRAP). The plant making the HyRAP mix is a parallel flow drum and pugmill, custom-built by ALmix of Ft. Wayne. 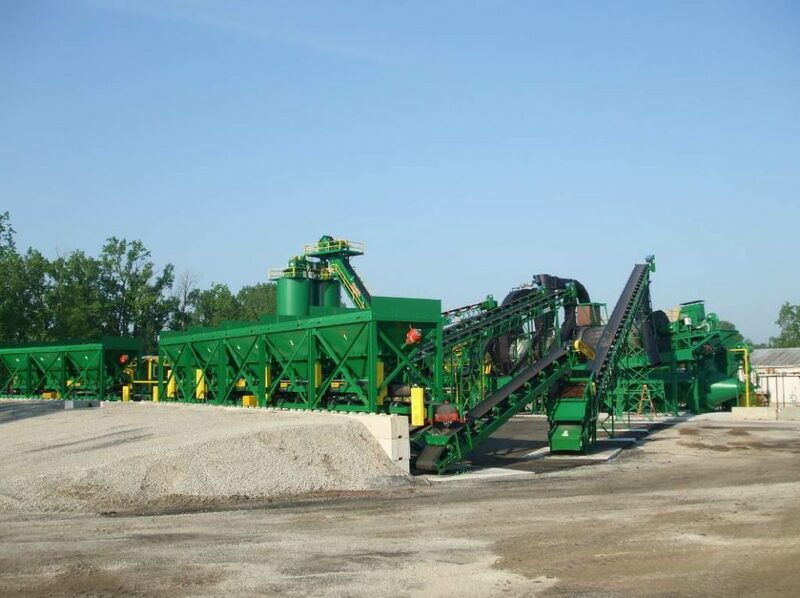 Brooks fractionates RAP for its recycle mix production, using a combination of Pro-Sizer and a CEI screen. In 2001, the Junior Achievement of Northern Indiana inducted Bob and Jim into the Greater Fort Wayne Business Hall of Fame, and the company remains an engaged supporter of JA. This is merely one indication of the company’s commitment to recruiting young talent into the construction industry. “There are a lot of new and innovative ideas being tried in Indiana, and Brooks Construction has eagerly participated in both industry-wide and local efforts to encourage young people to see the great opportunities in the asphalt industry,” President Andy Brooks said. Brooks Construction management has worked with more than 40 schools local to the company to get industrial trades included in school curriculums. More than a dozen Brooks ambassadors go to the schools and discuss the construction industry with high school students. In 2018, Brooks Construction employees had attended 15 community workforce development, college and high school job fairs. The company also worked with APAI and the Future Farmers of America (FFA) to promote the construction industry at the Indiana FFA Leadership Center on May 2, 2018. At that event, 160+ students got to see an asphalt parking lot being repaved while Brooks Construction and other contractors talked with them about the career opportunities within the asphalt industry. In addition to reaching out for the industry in general, Brooks employees look at ways to incentivize and invigorate its own workforce. APAI’s Knopf commended them for these efforts also. “Brooks Construction has an internal referral program that incentivizes employees to send qualified candidates to Brooks Construction and if they are hired, provides additional rewards if the new employee stays through the season,” HR Director Monty Richmond explained. Once new employees are in the Brooks Construction family, they are part of a team committed to safe work practices. That has been proven time and again through corporate initiatives and now through the ARTBA 2018 Safety Award. “Management’s commitment to safety continues to grow each year,” Richmond shared. He’s the Brooks Construction director of human resources and safety, and he’s an authorized 10-hour and 30-hour safety instructor. “We continue to look at new ways to encourage safe practices and find new ways to enable our employees to work safely. “We are always looking for new ways to improve safety for our employees,” Richmond shared. “For example, our IT team worked with a field crew to develop an early warning system last year that notifies our crews of any traffic that enters our construction zone. This system uses laser sensors that are triggered when a vehicle breaks the construction zone and comes into our work area. When the transmitted beam is broken, the system sets off an air horn near our employees so they have time to react before the vehicle is upon them. As part of the new effort, Brooks Construction ran a contest asking employees to create and present their ideas via a poster of what safety meant to them. “This campaign encouraged employees to create a digital poster with pictures of their friends, families and favorite hobbies. We are using these digital posters on our company website and social media to show what safety means to our employees. “We also created in the last two years an online safety suggestion box that allows employees to submit their safety suggestions, ideas or concerns to the company anonymously. We have found that some employees are hesitant to speak up when in a group or do not want to be recognized for their comments. This approach gives them the opportunity to bring up safety concerns anonymously and allows Brooks Construction the ability to address their concerns. Management also encourages positive reinforcement for good safety practices. They offer “Brooks Bucks” to be used at the company’s online store in exchange for Brooks apparel, lunch bags, mugs, hats, additional safety items, etc. “Managers, supervisors and even coworkers can award Brooks Bucks for a lot of different safety practices, such as stopping an unsafe act, coming up with a new or improved way to do something, stopping someone from being injured, or saving them from an injury,” Richmond shared. With the point system, lesser infractions are assessed one point; severe infractions are assessed four points. The points will accrue up to 12, with stages allowing management the opportunity to address and correct behavior along the way. The Brooks Construction family has grown for over a century now with quality, environmental excellence, innovation and safety as staples of their daily best practices. As they continue to achieve awards for their good work and safety culture, it’s a testament to their efforts to grow the industry as a whole that they’ve shared so much of their philosophy.